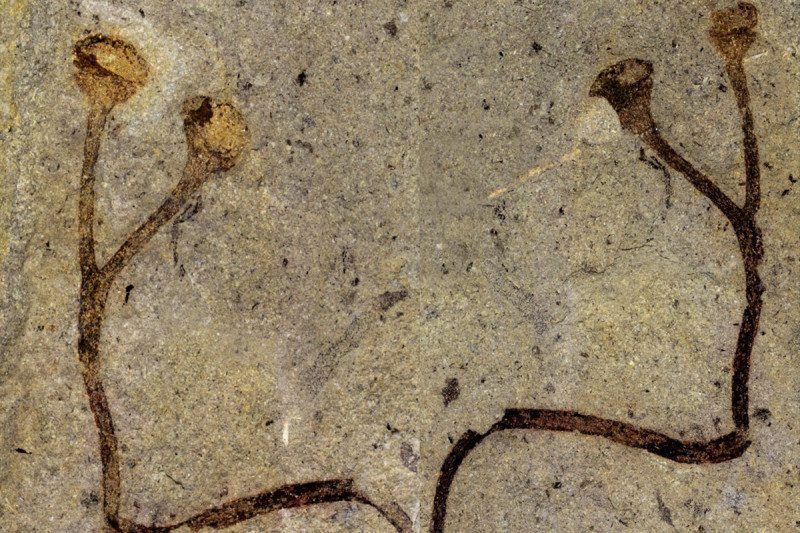 Scientists from the National Museum discovered a unique specimen – a twig of the oldest terrestrial plant yet found. Its body deposited in volcanic sediments over 432 million years ago proves that the terrestrial flora of that time was already able to produce oxygen and therefore had to be green in colour. The discovery was announced in the scientific journal Nature Plants by scientists of the National Museum, the Charles University Faculty of Science and the Institute of Geology of the Czech Academy of Sciences. The discovery is remarkable for several reasons at once. First of all, due to its age of 432 million years it is by far the oldest macroscopic remains of a land plant and at the same time it amazes us by its size. Unit now the oldest plant remains from Ireland were only a few milometers long and even other findings from Silurian period from Great Britain or Brazil weren’t longer than 2,5 centimetres. Thus, it was assumed that such small plant couldn’t have contained vascular, permanent, let alone photosynthetic tissues. The palaeontologist Kevin Boyce even came to conclusion that these first plants couldn’t have been green. However, this theory was clearly refuted by the Czech discovery, which is almost 6 centimetres long. 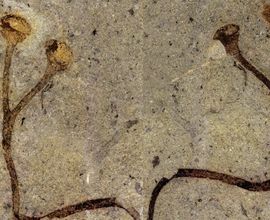 The size of the stem of the newly categorised specimen unmistakably proves that this Cooksonia definitely had a wide enough body to ensure basic function of a vascular plant including photosynthesis, distribution of water and nutrients and therefore was able to exist independently. The peculiar thing is that the mentioned plant has waited for its opportunity to ‘speak’ for 150 years in the depository of the museum. It was actually found by the famous French palaeontologist Joachim Barrande close to the Central Bohemian village Loděnice. The specimen was later transferred as part of his collection to the depositories of the Patriotic (today National) Museum. However no one has paid attention to this fossil. It was probably not as attractive as the Palaeozoic remains of fauna including trilobites. The specimen was categorised as a fossil of algae with undeterminable classification – Fucoides – and was put away in a box in the cellar depository in the National Museum where it had rested unnoticed. It was seen again only in 2011 when palaeontologists were moving the collection objects to depositories in Horní Počernice prior to the reconstruction of the Historical Building of the National Museum. 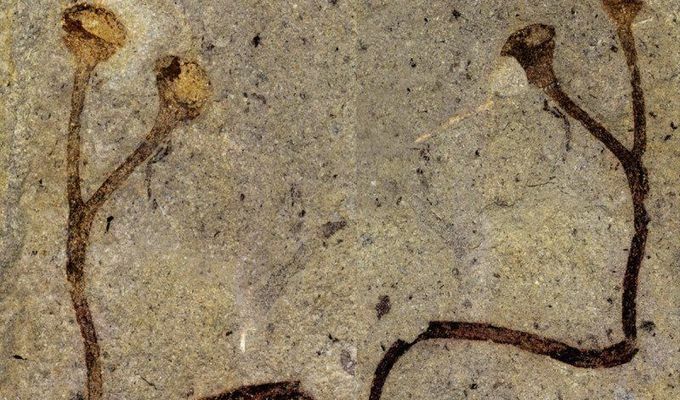 During sorting the palaeontologist Vojtěch Turek recognised a terrestrial plant in the fossil of the alleged algae and handed it over to specialist colleagues for further examination. They set out to the place marked by Barrande, so-called Barrandovy jámy u Loděnic, and found number of other specimens of Cooksonia. However, none of them reached the quality of the Barrande’s finding. Our knowledge of evolution of the oldest terrestrial plants is very limited and even molecular biology is unable to fill in the gaps. Every finding of a plant fossil from the time when the first terrestrial ecosystems were forming is a certain sensation. Also for that reason the discovered plant will become part of permanent expositions once the reconstructed Historical Building reopens.